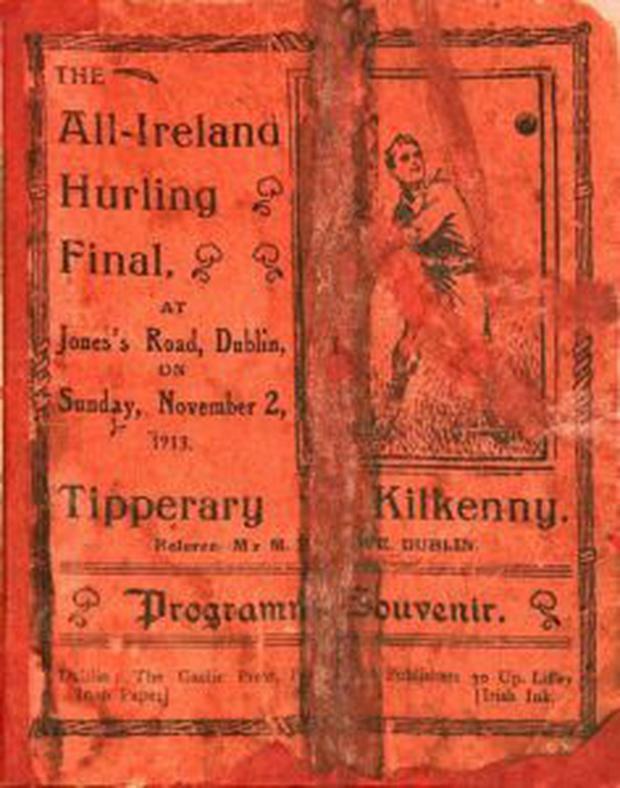 A match programme from the 1913 All-Ireland hurling final has made €2,200 at an auction at the Ormonde Hotel in Kilkenny. 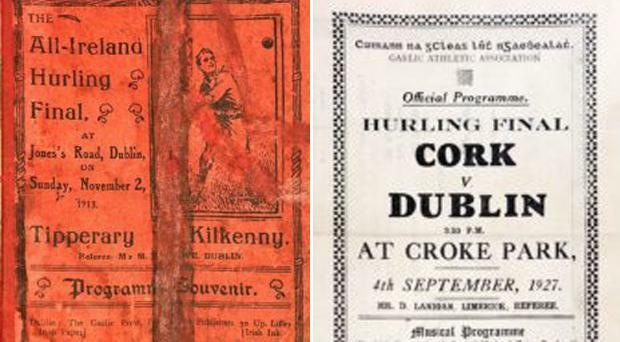 The souvenir from the clash between the Cats and rivals Tipperary that saw the Leinster side secure a third title in a row was given a guide price of €1,500 by Fonsie Mealy Auctioneers but the price paid vastly exceeded that. It was the first ever 15-v-15 hurling final. Kilkenny, represented by Mooncoin, beat Tipperary represented by Toomevara by 2-4 to 1-2 in the final. 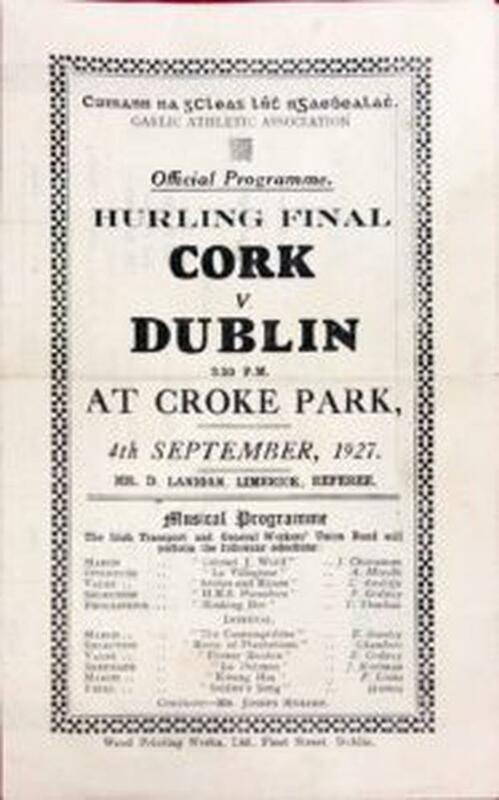 The match programme from the 40th All-Ireland hurling final in 1927 was purchased for €700. Dublin beat Cork in front of a crowd of 23,684 people to claim their fifth hurling title. Rare matchday programmes are becoming increasingly collectible and you could be hoarding a very expensive expensive object in your cupboard or attic. A truly unique piece of sporting memoribilia was sold for €4,000. Lot 812 consisted of an original spalding baseball bat given by 'Babe' Ruth to the manager of the Tipperary hurling team Frank McGrath during their visit to America in 1926 and a 10k gold commemorative medal from the occasion. 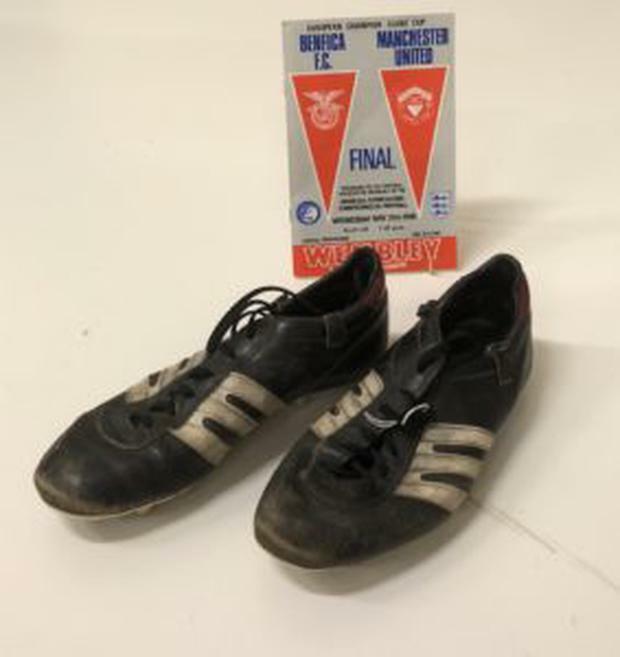 The boots worn by Shay Brennan in Manchester United's 1968 European Cup final victory over Benfica in 1968 also went under the hammer alongside a match programme from the iconic game and made €700.